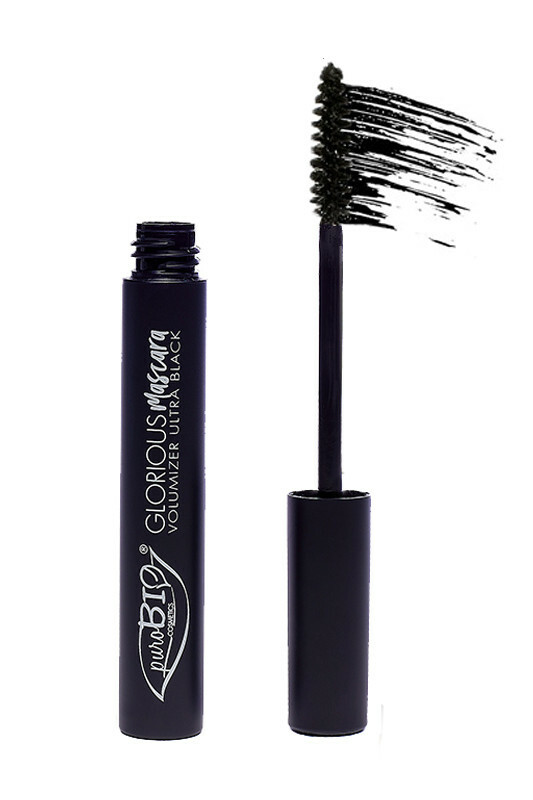 Purobio Volumizing Vegan Mascara intensifies and gives volume to lashes! Enriched with organic bamboo hydrosol, your lashes are fortified and restructured for an intense look! Creamy texture, your lashes are completely wrapped in an ultra-black veil for a natural look. Its practical tapered brush will sculpt all your lashes: even the shortest won't resist it. With the Purobio Organic Volumizer Mascara, your look is irresistible and enlarged! Bon mascara qui donne un joli volume, très doux pour les yeux sensibles. Ni trop liquide, ni trop crémeux. 1 étoile en moins pour la tenue, il ne tiens pas la courbure toute la journée. En revanche il ne s'effrite pas du tout. 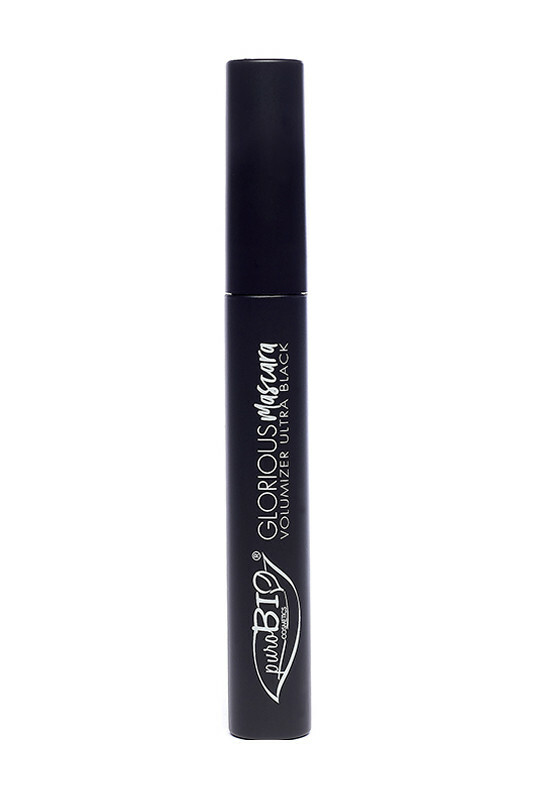 Purobio Organic GLORIOUS Mascara makes your lashes bigger! Place the brush at the base of the lashes, make a slight zig-zag movement by pulling upwards. 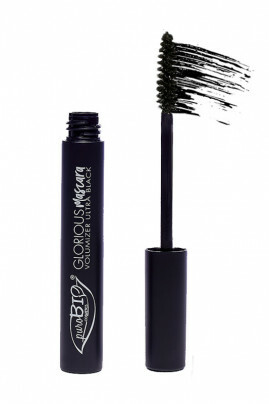 PUROBIO Volumizing Glorious Mascara takes care of your lashes!